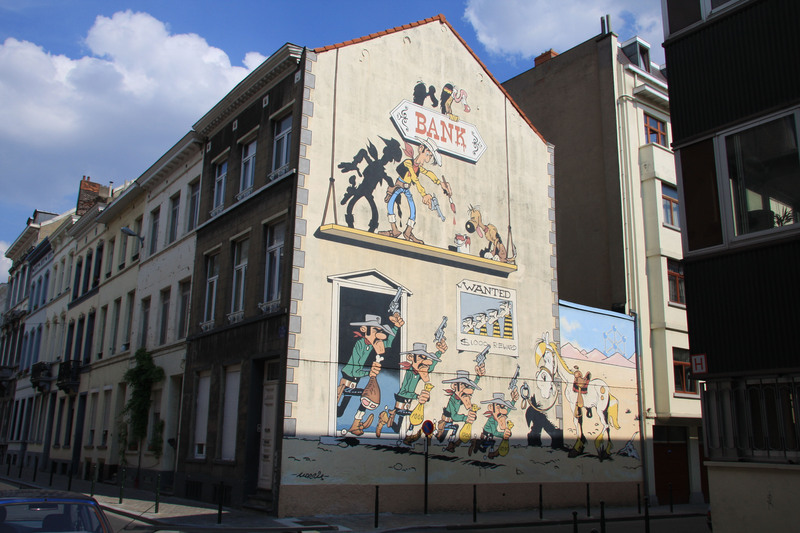 This 180 square meters Lucky Luke Comic Strip Mural painting was completed by D. Vandegeerde and G. Oreopoulos in 1992. 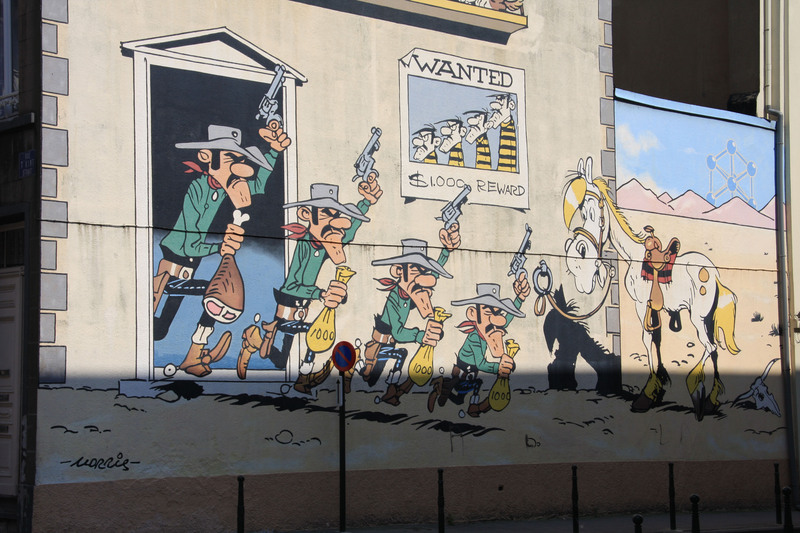 Created by Morris and now with over 70 albums published the Lucky Luke comics is one of the most famous and best selling comic books series in Europe. 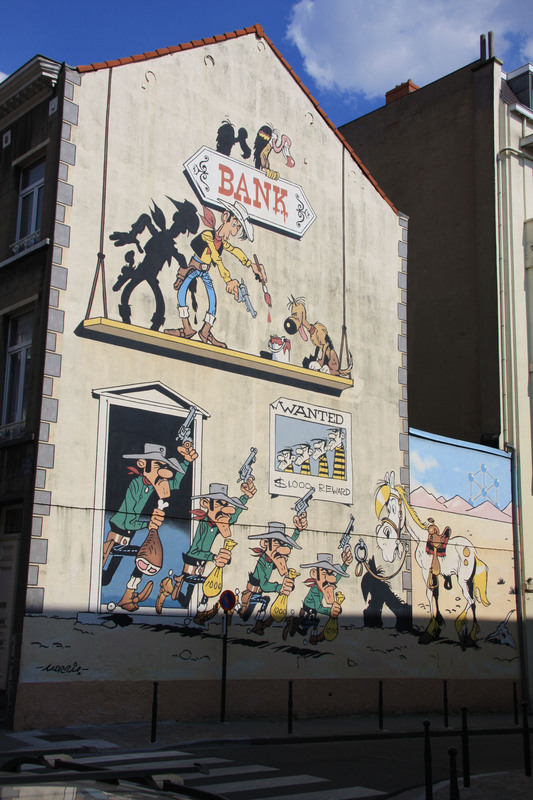 Few might have noticed but a glimpse of the city of Brussels was added in the mural if you look close enough in the background… In the middle of the desert there is a mirage of one of the famous landmarks in Brussels: The Atomium. Brusselscomics.com is an excellent online guide to all the comic strip murals in Brussels. You can also purchase a paperback version in most bookstores called "The comics in the city" by Thibaut Vandorselaer if you want a mobile version on the go. I admire the effort put in to take the picture. You must have waited for the right moment to capture the effect of the sunlight on the murals. This gives a very realistic effect of the sunlight/shadow on the painted bank. 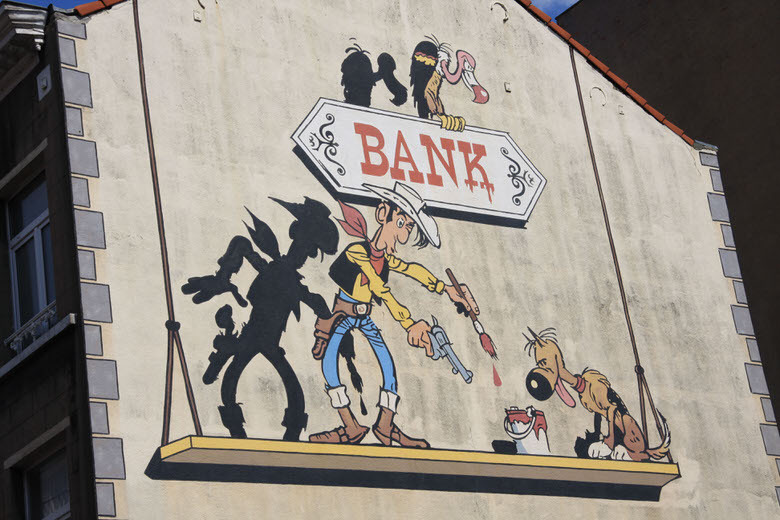 You are currently reading "Lucky Luke Comic Strip Mural"